A few weeks ago I posted about cupcake kabobs. They seem to be the newest cupcake trend. 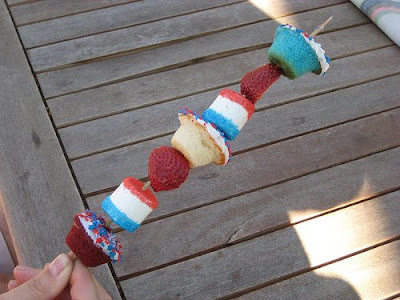 Kristin of Meringue Bake Shop has re-vamped the kabobs for the 4th of July. 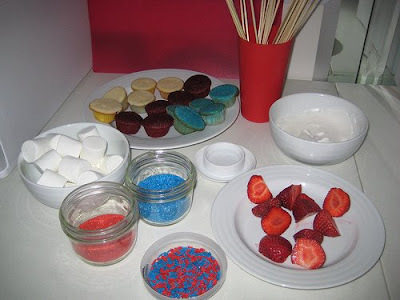 Check out her flickr pictures to see the tutorial on how to make these cupcakes kabobs. 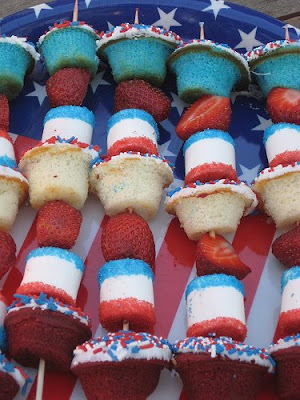 These will definitely be found at my 4th of July party! 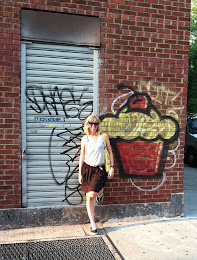 Jaime- We need to eat cupcakes together sometime! I hope you enjoyed Elizabethan Desserts the other day! 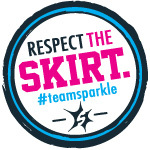 If you would like a featured button, I have them here: http://printabelle.com/?page_id=724 Thanks! I have always been a cupcake lover. There is just something about cupcakes that makes them so special. 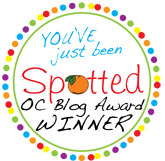 This blog will be devoted to my visits to cupcake bakeries, stories about cupcakes, reviews of cupcakes, and adventures in my own cupcake baking. Enjoy! Copyright 2008 - 2012 by Cupcake Activist. All rights reserved.